Pundi X Labs Private Limited intends to trade bitcoin as easy as buying and selling phone credit. The startup have high ambitions to trade virtual currencies, especially bitcoin, which is growing in popularity. Pundi X CEO, Zi Bin Cheah, alias Zac, said it will continue to take strong place in the cryptocurrencies market in Indonesia. 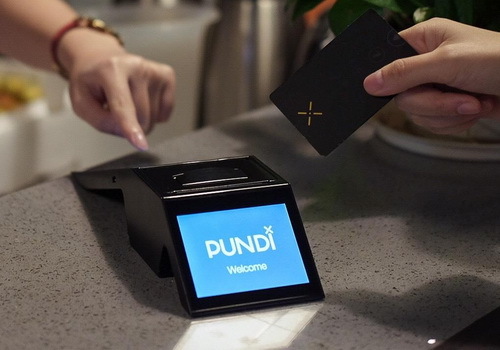 Pundi X on Wednesday announced the launch of Pundi X Pass and Pundi X POS to strengthen the virtual currency market share in Indonesia. Pound X Pass is useful for storing virtual currency and Pundi X POS is a kind of electronic data capture tool that will be placed in stores. Cheah said Indonesians are fond of using bitcoin where the biggest market potential is in Southeast Asia, while the ownership of bank accounts is still low. PundiX.com wants to take a strong position of cryptocurrencies market share in Indonesia and will disrupt the dominance of Bitcoin.co.id. "Bitcoin.co.id has daily transactions of up to US$10 million and most Indonesians use the rupiah. We know Indonesians like to use bitcoin, maybe using blockchain helps financial liberation for Indonesians," Cheah said. Pundi X Pass and Pundi X POS allow Pundi X customers to freely trade cryptocurrencies. Users wear bitcoin, ethereum, and PXS eyes to purchase goods from partner merchants. The service will be available on November 20 at a number of minimarkets in Jakarta, Bali, Singapore, Hong Kong and Seoul. "We provide cryptocurrencies purchase solution as easy as buying phone credit," Cheah said.